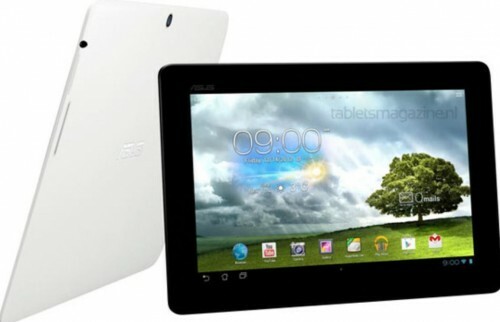 Asus had earlier unveiled Asus MeMo Pad 7 and so a 10-inch model was obviously in the making as we expected. A hands-on video was also uploaded on YouTube earlier about Memo Pad 10, but now the video is made private. From the recent leaks, rumors and news reports, it is now safe to say that Asus MeMo Pad 10 will be formally announced at MWC event in Barcelona. Hence, in this post here, let’s see what’s on Asus MeMo Pad 10. With Nvidia Tegra 3 processor running at clockspeed of 1.2 GHz, Asus MeMo Pad 10 seems to be powerful when it comes to delivering high-end performance. It has RAM of 1GB. The screen is of 10.1 inch with IPS display and HD resolution of 1280*800. It has 16GB of internal storage (also support for external sd card). At the rear, there is 5megapixel camera, while at the font, it has 1.2mp camera lens. On the connectivity side, it has WiFi, USB, HDMI. From the specification, it seems to be somewhat in between medium-high scale. 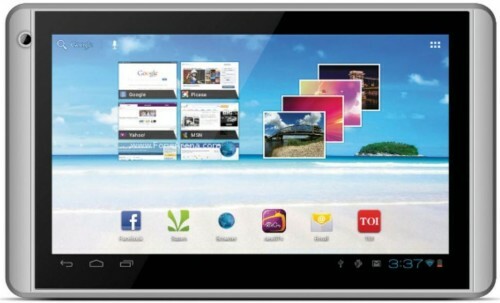 Android 4.1 Jelly Bean OS will be running on this tablet out of box. We’ll update this article with more details and full specification when the tablet is officially announced. As per the leaked images, this tablet appears very thin, blade-like form. The design is appealing and we expect it to weigh less as well. The design has a very good finish as well. Asus MeMo Pad 10 will be intially available in white and black colors, but it may be offered in more colors later. The release date of Asus MeMo Pad 10 is not known yet, but after formal announcement at MWC, we expect it to start selling soon as some retailers have already started taking pre-orders for this tablet at price between 329 to 389 EUR. The price of Asus Memo Pad 10 will be competitive and will vary depending upon the markets, but expect it to be attractive for budget-conscious market like India. We’ve also heard reports of Samsung Galaxy Tab 3 which might also debut at MWC. Other companies like Sony is also expected to present Xperia Tablet Z. To our surprise, even HTC could warm up the market by coming up with its own tablet. It appears that beside new phone launches, MWC event will be populated with several tablets launches as well. With so many android tablets already occupying selves of retailers, more of these tablets are going to add not only more choices to consumers, but also more confusion. What’s disappointing is that these android devices manufacturers present the same set of specifications in most of their devices with little bit of different packaging and branding. We, as consumers, want something unique, affordable and more promising that what is already offered to us. We hope that we get something at MWC which could live upto our expectations. Keep your eyes on us for more updates and tech news. We’re gearing up to cover MWC episode in its full glory.